Click here for new customer special! Are you looking for a professional, dependable and thorough maid service in Waleska? Image Maids is a house cleaning and maid service that covers Waleska and the north metropolitan Atlanta area — including Cobb, Cherokee, and North Fulton counties. Request a house cleaning estimate from Image Maids today and get $104 per hour special if you are a brand new customer. Ever notice that when your house is clean and tidy, your whole life seems be smoother and easier? That’s because a sparkling clean house can change your life. If you already have a tight schedule filled with work, school or other commitments, don’t sweat it. This is precisely where Image Maids can help. When you make the decision to hire us, you don’t have to worry about spending hours of your time dusting, scrubbing, and mopping every single week. Rest easy knowing that Image Maids is licensed, bonded, insured, and has years of experience in the residential cleaning business. Our team of professionals will take your unique requests into consideration by customizing a cleaning schedule that fits your needs. Need us to take special care when dusting a piece of antique furniture? Want us to use a certain type of cleaner on your granite countertops? Just let us know because our goal is to make your life easier and cleaner. One of the things our customers love most about us is the flexibility of our cleaning services. There are no complicated cleaning contracts or long-term commitments with Image Maids. You can arrange to have your home cleaned on a weekly, bi-weekly, every three weeks, monthly, or as needed basis. If the kids are home from school and you need an extra deep cleaning, we can adjust your service accordingly. If you plan to be out of town for a few weeks, and just need a light cleaning when you return, we can accommodate for that too. We have Deluxe, Core, and Basic cleaning services for you to choose from. If you are wondering about the types of cleaning tasks we include as part of our services, just take a look. If there are other specific cleaning projects you need help with, just let us know and we can customize your services. We can also take care of those time-consuming cleaning tasks that come up before a special event, as part of a moving in/moving out process, or when you just want to have your house deep cleaned. Located in northwestern Cherokee County, just north of Canton, Waleska is perhaps best known as being the home of Reinhardt University. The small town was named after Warluskee, the daughter of a local Cherokee chief who lived in the area and was removed during the Trail of Tears. Reinhardt University offers college students a faith-based atmosphere and small class sizes as part of a holistic education philosophy that includes the belief that students should shape a meaningful life, not simply make a living. 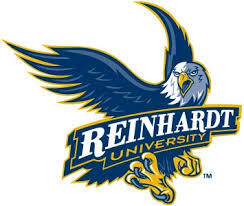 Reinhardt University offers 43 programs of study, with a total of 65 concentrations or program options. In addition, the school offers a number of athletic programs such as basketball, soccer, cross country, golf, lacrosse, tennis, track and field, baseball, football, volleyball, and softball. A visit to Waleska can also take you back to the days of the Appalachian pioneers and Native Americans if you stop into the Funk Heritage Center Museum, located on the campus of Reinhardt University. The museum features educational exhibits on the Georgia Trail of Tears, Native American artwork, and includes the Sellars Gallery of Historic Hand Tools. If you drive just two miles southwest of Waleska, you will arrive at the expansive shoreline of Lake Arrowhead, Georgia’s second largest man-made, private lake. 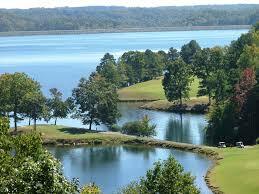 The lake covers 540 acres and is surrounded by beautiful mountains, wilderness, and championship golf courses. Lake Arrowhead is the ideal place for families who enjoy outdoor activities such as hiking, fishing, boating, swimming, and water skiing. Now that you are ready to hand over all of those tedious house cleaning projects to Image Maids, it’s easy to get started. All you have to do is complete our simple estimate form or give us a call. Our professional team will take it from there.